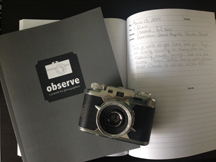 2013 Worldwide Pinhole Camera Day is Today! Well, today is the day. Above is a photo of the camera I made last week out of an Altoids tin. I went out to take some photos today with it and really did not have much luck. My film was pretty overexposed, so most of the detail is blown out. Such is the magic of the pinhole camera. It is the opposite of working in digital in that the control is not within your realm. I am beginning a new project that explores this idea, and I am pretty sure I will be going back to my favored item for pinhole cameras, the oatmeal box. Guess what tomorrow is? YES, It is Worldwide Pinhole Day. To celebrate the day I have created a new pinhole camera and am beginning a new project. Check back tomorrow to see what I made my new camera out. If all goes well, I will also show an image made with this camera. Click on the photo above to see the official Pinhole Photography Day web site. I stopped to see the river today with my daughter. We’ve broken a record for rainfall in April, and the water level is causing quite a few problems in the Greater Grand Rapids area. Since I’ve dedicated so much of my time recording places in this city, I had to make a trip downtown today to see the rising waters for myself. As you can see, it was just clearing under the blue bridge as of about 12:30 today. Water levels are not expected to crest until Sunday/Monday. *As of noon on Sunday, the bridge where I took this photo has been closed until further notice as a precaution. I had the pleasure of visiting Chicago for a long weekend recently for our spring break getaway. We stayed in the south loop, which gave me the opportunity to walk by Columbia College and take some photos. You may recognize the logo above the college’s as the logo of Brunswick’s. They are one of the many companies that called this building home until Columbia College bought it in the mid ’80s. 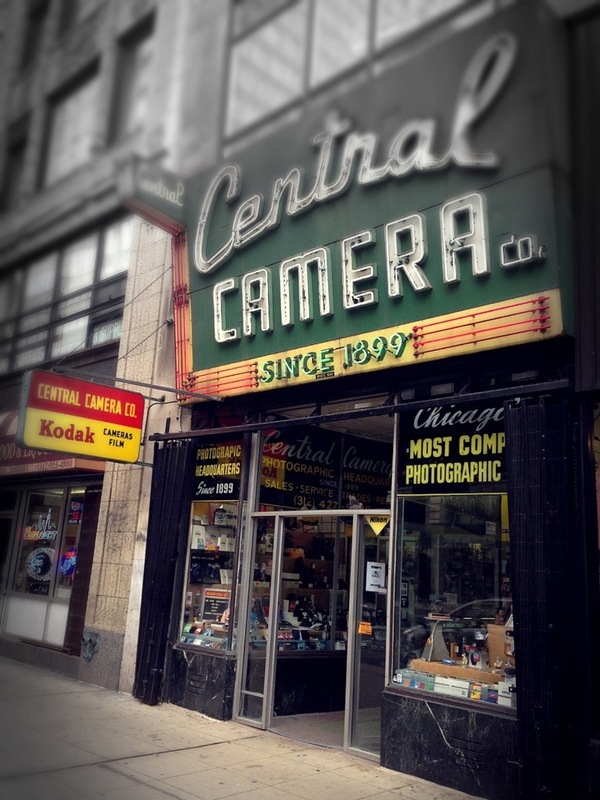 I had to stop by Central Camera just to admire the fabulous facade.